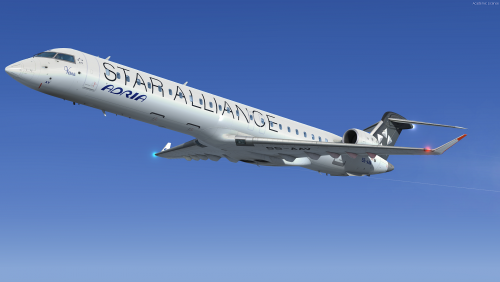 The CRJ (Canadair Regional Jet) family of aircraft was derived from the Canadair Challenger business jet, which began its operational life as the LearStar 600. The Bombardier Canadair CRJ900, which entered service in 2003, is a stretched version of the CRJ100/200/700 regional jet, with increased seating capacity from 76 to 90. With increased length and upgraded landing gear, the CRJ900 features a longer wing span and leading edge slats. Like other members of the CRJ family, the CRJ900 features an electronic flight instrument system (EFIS) avionics suite and “glass cockpit” instrumentation. 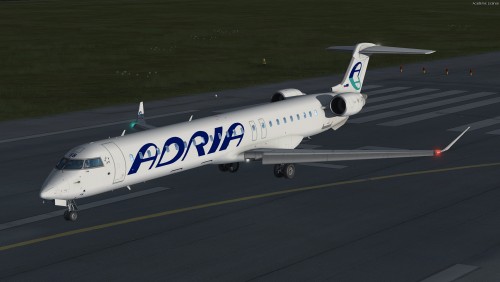 The brand new member of Adria Airways fleet Bombardier CRJ900ER S5-AFB which is coming into service on Monday 26th March 2018. CRJ (Canadair Regional Jet) family of aircraft was derived from the Canadair Challenger business jet, which began its operational life as the LearStar 600. The Bombardier Canadair CRJ900, which entered service in 2003, is a stretched version of the CRJ100/200/700 regional jet, with increased seating capacity from 76 to 90. With increased length and upgraded landing gear, the CRJ900 features a longer wing span and leading edge slats. Like other members of the CRJ family, the CRJ900 features an electronic flight instrument system (EFIS) avionics suite and “glass cockpit” instrumentation. The CRJ (Canadair Regional Jet) family of aircraft was derived from the Canadair Challenger business jet, which began its operational life as the LearStar 600. 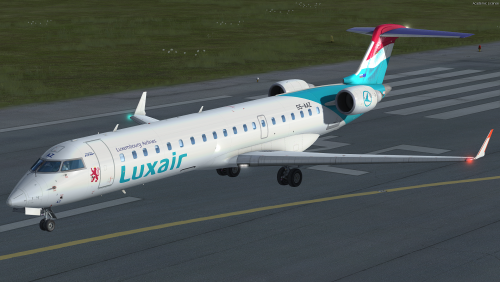 The Bombardier Canadair CRJ700, which entered service in 2001, is a stretched version of the CRJ100/200 regional jet, with increased seating capacity from 50 to 70. With increased length and upgraded landing gear, the CRJ700 features a longer wing span and leading edge slats. 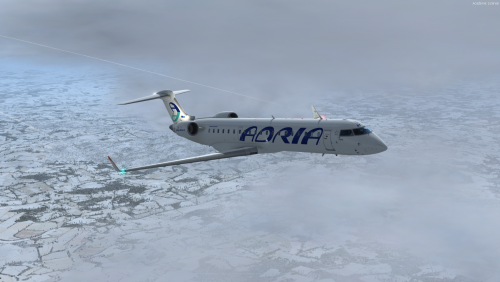 Like other members of the CRJ family, the CRJ700 features an electronic flight instrument system (EFIS) avionics suite and “glass cockpit” instrumentation."